This exposé investigates the evolution of the Almighty Black P Stone Nation, a motley group of poverty-stricken teens transformed into a dominant gang accused of terroristic intentions. Interwoven into the narrative is the dynamic influence of leader Jeff Fort, who—despite his flamboyance and high visibility—instilled a rigid structure and discipline that afforded the young men a refuge and a sense of purpose in an often hopeless community. Details of how the Nation procured government funding for gang-related projects during the War on Poverty era and fueled bonuses and job security for law enforcement, and how Fort, in particular, masterminded a deal for $2.5 million to commit acts of terrorism in the United States on behalf of Libya are also revealed. 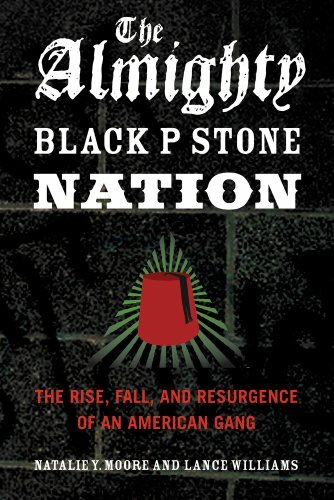 In examining whether the Black P Stone Nation was a group of criminals, brainwashed terrorists, victims of their circumstances, or champions of social change, this social history provides both an exploration of how and why gangs flourish and insight into the way in which minority crime is targeted in the community, reported in the media, and prosecuted in the courts.